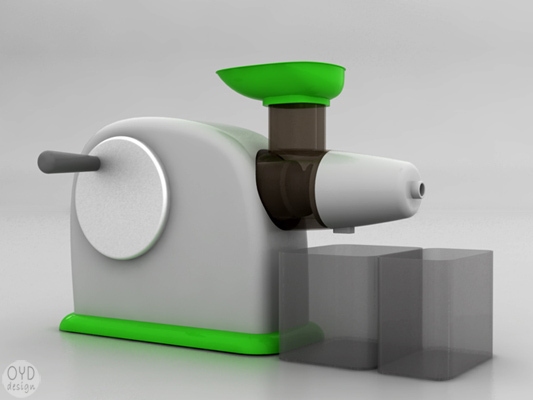 Izzy Juicer is a green alternative to the current masticating juicers which slowly rotate and chew the food instead of smashing. 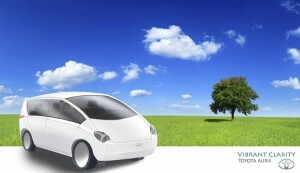 This maximizes the nutrition and juice amount meanwhile allows the process of leafy veggies. 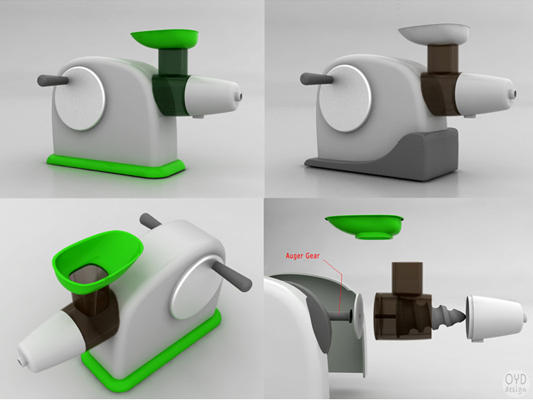 The juicer is wound up as hand wheels connect to an inner mechanism where two freewheels and one flywheel sustain the hand-free operation. 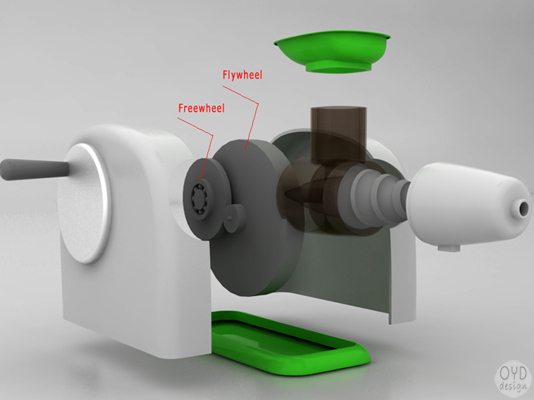 Freewheels work in a similar way of bicycle pedals, freeing the rotation so hand wheels do not rotate together with inner flywheel and auger. 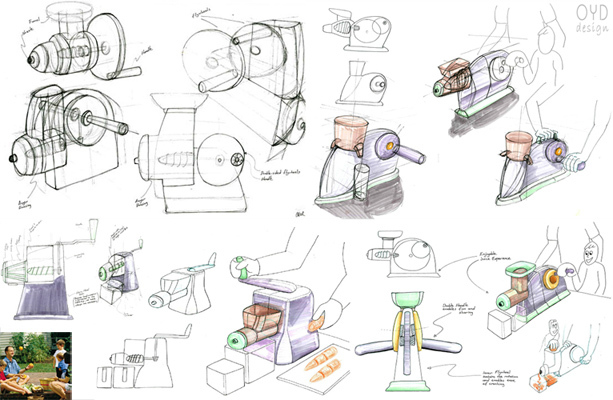 Izzy juicer had been developed during the project course in TU Delft.